I’ve been inspired by a friend’s blog to look back….waaaay back. I want to tell the story of Aidan’s first few months of life with the wisdom of hindsight. * I’ll share some excerpts of emails between family and friends and try to recall some of the back story details. Please excuse this disruption in Thankful Thursday posts but friend us on Facebook (Aidan TeamAidan Bowie) and I’ll still have Thankful Thursdays there. You’ll read about both our emotional and medical roller coasters and an incredible community of support that continues to grow. It’s not a nail biter, though, because you’ve been reading the last pages first and know how it ends….like this…. 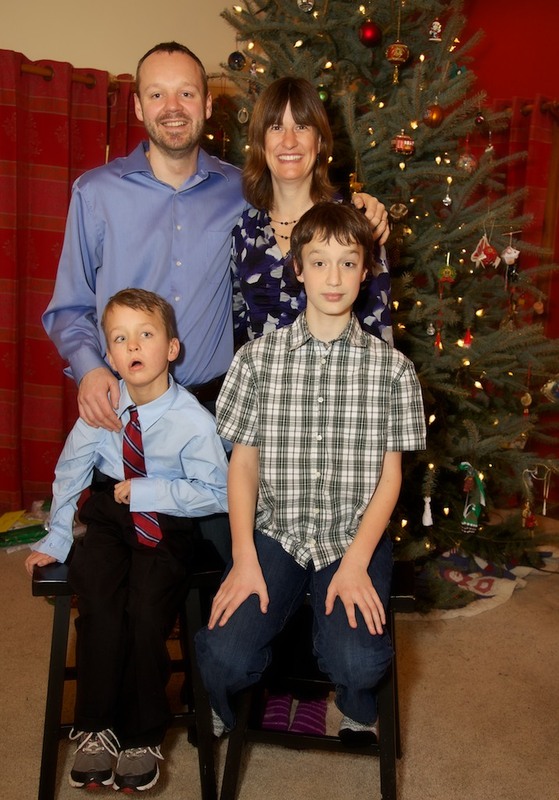 With a mom who wears fuzzy socks in formal photos, my little man who wears pants up high like an 80 year old, and a tween who seems surprised to be part of this family. It’s all good. *Present day thoughts will be in bold print.